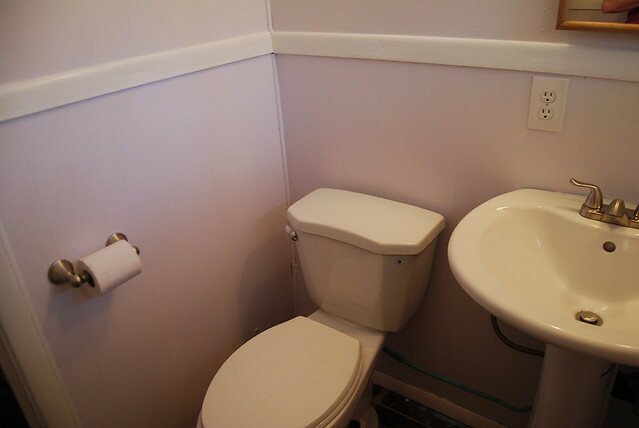 Replaced the toilet in order to comply with our county’s low-flow laws. 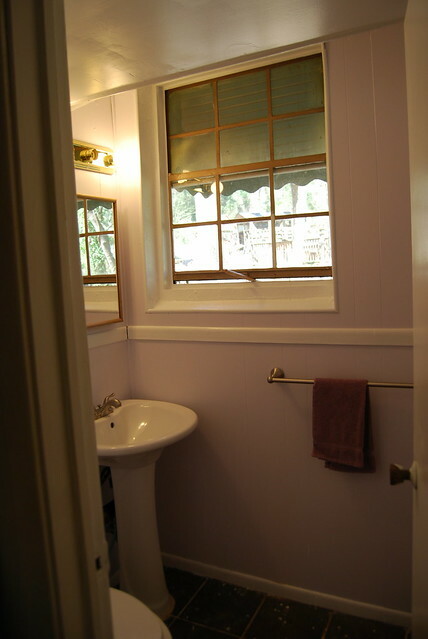 Painted the walls a light shade of purple (leftover paint from the nursery). Painted the ceiling and all the trim white. 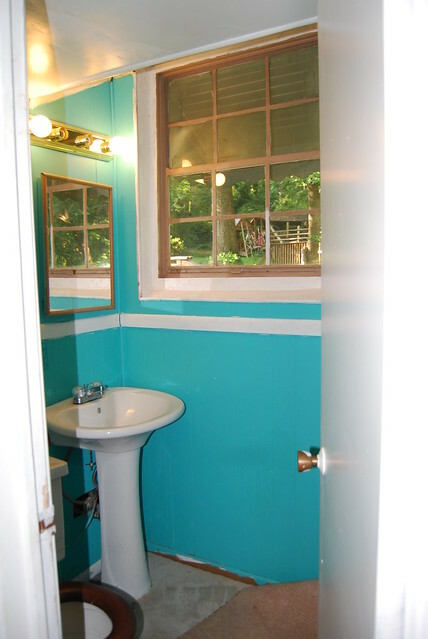 Replaced the faucet as the old one was cheap and cracking, and had teal paint all over it. Put up a new toilet paper holder and towel rod, to match the brushed nickel faucet. Cleaned and scraped teal paint off the sink. 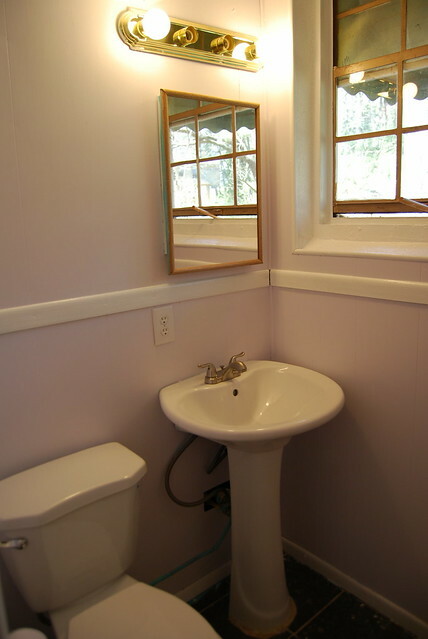 You can read all the half bathroom posts here.